3/4 - 26in, 5/6 - 28in, 7/8 - 30in, 9/11 - 32in, 12/13 - 34in. 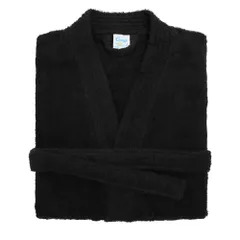 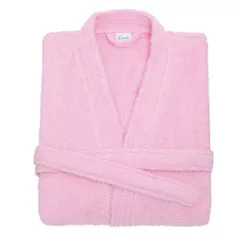 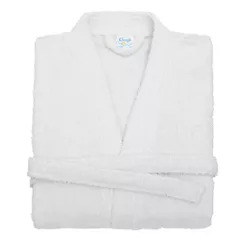 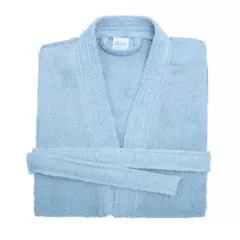 Soft towelling kids robe with belt and features a hood. Easy tear-out back neck label for simple rebranding.